Our used gear department has flourished into becoming one of the largest used departments in the Pittsburgh and tri state area. Used gear is a terrific way at finding the products you are looking for but at an affordable price point allowing you to make cost effective decisions about what gear it is you need. Here at N Stuff Music we thoroughly inspect and operate all used gear that comes into the store to ensure it is still of optimum performance-level quality. Once we have decided a piece of gear to be fully capable of being sold in our department we then calculate an affordable price that makes the product a valid option for those looking to save from buying a new piece of gear. We understand that many customers have questions as to why they should consider used gear. Used gear can have many benefits. Although it is not a brand new and unused piece of gear, it has many cost and use benefits that make used gear a competitive and in-demand market. 1. Used gear is more affordable: Second hand equipment and instruments are sold at a cheaper price but are ensured to be of usable quality thus helping the person who does not want to spend the full price for a new piece of gear have another viable option. 2. 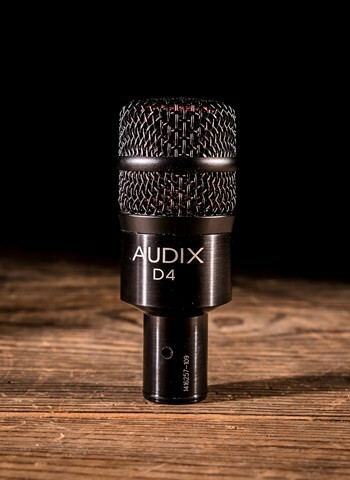 Reliable and useful quality: At N Stuff Music we test and put our used gear through the paces to be sure before we agree to sell it that it can be used regularly with reliability so that if you make the decision to buy used you are still receiving a high level of quality and production out of the gear. Often times we have used gear that has hardly been touched and is in mint condition, thus giving the customer a great deal on a practically new piece of gear. 3. Assortment: We have a large variety of used musical gear in our used department; everything from microphones, preamps, PA systems, and interfaces, to bass amps, guitar amps, almost all instruments, and effect pedals. 4. Uniqueness: Our used department can be a great way of finding gear that has been discontinued but proved to be a high-quality piece while also being a potential personal favorite. This allows the customer to potentially find those unique pieces that specifically appeal to them. Unlike many stores, we do not just sell used instruments. Instead, we have amplifiers, microphones, keyboards, sound equipment, effects pedals, and rackmount effects, among others. This gives N Stuff Music a competitive edge in the used gear realm. Our broad range of used gear that we sell allows customers to find an affordable and quality used item for practically whatever piece of musical equipment they are looking for. At N Stuff Music we also offer trade-ins, so those looking to get some money quickly for their used gear can come into our store and we will give them a trade-in value and you can walk out with money that day! Thank you for visiting our site, and feel free to visit our store in lovely Blawnox, PA, 15 minutes east of the city of Pittsburgh. Thank you for shopping at N Stuff Music!